Beware of moose on the golf courses in Utah. An angry moose charged two golfers at Utah’s Park City Golf Club, forcing them to flee in their cart. What could be worse than a dogleg left? 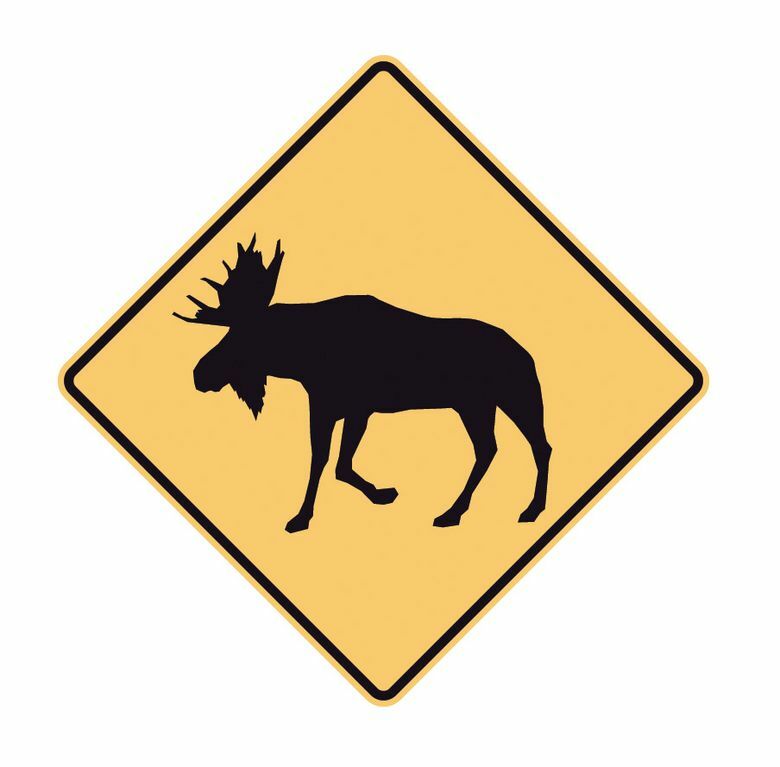 Four moose legs — left and right. An angry Bullwinkle charged two golfers at Utah’s Park City Golf Club, forcing them to flee in their cart. On the bright side, though, they did win the best-drive competition. Joey Chestnut celebrated National Doughnut Day by downing 257 powdered Hostess Donettes in six minutes in Philadelphia, but that might not be the worst of it. June 15 is National Prune Day. The MLB player with the best chance of someday having a ballpark named after him: Rays outfielder Johnny Field. In NFL news, Coastal Carolina bestowed an honorary doctorate on alumnus and Washington cornerback Josh Norman. It was reportedly a Doctor of Humane Letters, with a trash-talking minor. This just in: White House denies ESPN report of Russian involvement in Capitals’ Stanley Cup win. And on the consumer front, Hormel has recalled over 228,000 pounds of Spam. No, wait — that was the 76ers and all those tweets from Mrs. Colangelo’s burner accounts. Warriors star Steph Curry has twice headed to the links between games of the NBA Finals, GolfChannel.com reported, and shot a 71 both times. Which is even more impressive, golf wags say, when you consider he’s wired to shoot every 24 seconds. NHL referee Garrett Rank qualified for the U.S. Open, carding back-to-back 71s for a 2-under par at Ansley Golf Club in Roswell, Ga.
To no one’s surprise, some of his best work came on the five-hole. An off-duty FBI agent’s gun flew out of its holster, hit the floor and discharged when he performed a back-flip on the dance floor at Denver’s Mile High Spirits Distillery and Tasting Bar, wounding another patron in the leg. Chiefs tackle Laurent Duvernay-Tardif made NFL history when — as an active player — he got his medical degree, from McGill University in Montreal. No truth to the rumor he specialized in blocked arteries. Linebacker Clay Matthews, pitching in a Packers charity softball game, wound up with a broken nose courtesy of a line drive back to the mound. Attending physicians immediately urged him to stick with less-dangerous pursuits — like, say, pro football. Chippendales immediately scrapped its plans to release a “Saturday Night Live” workout video. Diva receiver Terrell Owens says he won’t attend this year’s Pro Football Hall of Fame ceremony, saying he prefers to celebrate his induction elsewhere. Darn! Now we’ll never know what the over/under for instances of “I” or “me” in his acceptance speech would have been. Sure-handed Vikings receiver Adam Thielen also boasts a golf handicap of one. In other words, he doesn’t take many drops in either sport. Aaron Rodgers was given an honorary doctorate from the Medical College of Wisconsin. Well, he is pretty good at dissecting defenses. Alabama football coach Nick Saban says a defective fuel pump — not running out of gas — is the reason he and some of his players got stranded on a lake in his new boat. Or to put it in football terms, looks like the boat dealer got him with a pump fake.